Getting new double glazing, especially buying UPVC windows, is very often one of the first improvements folks think of doing to improve their home. But with so many options in the market, what can you do to help yourself get the best value for money. Here are 5 tips for lower prices when buying UPVC windows. In the UK, the energy efficiency of a double glazed window is identified by the Window Energy Rating or WER. This is a colour coded alphabetical ranking most often provided by the British Fenestration Rating Council or BFRC (https://bfrc.org/). A rating of A++ is the most efficient, a rating of G is the least efficient. However, energy ratings do come with a price tag. Whilst an A++ rated window will give excellent performance, B rated windows are perfectly adequate in most instances. So fit only the rating that you need and save some money on the upfront cost. 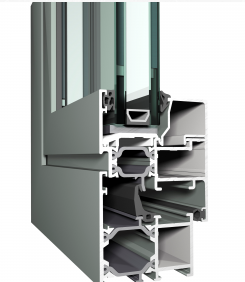 The thickness of the actual double glazed unit has an influence on both energy efficiency and sound insulation. A typical unit is 2 panes of 4mm float glass held apart by spacers and filled with dehydrated air. The size of the gap is the variable here. A 20mm gap gives an overall thickness of 28mm. gap sizes run from 4mm to 20mm. The air gap is said to be ideally set at 12mm giving an overall thickness of 20mm. If you don’t need 28mm units to cope with your local conditions, then a 20mm unit is plenty efficient for the task and will cost less than a 28mm unit (unless there is a special offer!). Adding Argon gas, instead of air in the gap, can push up the price. As can using low-e glass. Both of these options add energy efficiency but can be thought of more as a luxury than a necessity. You may find windows made from recycled UPVC that are better priced than “virgin” UPVC. But not all recycled UPVC is of the same quality. It has been said in the past, that the white colour can “yellow” quite quickly. So it’s important to do your research on the supplier / manufacturer before buying windows made from recycled UPVC. Staying with the subject of white UPVC, adding a colour to your windows can add 10% to the cost. Also wood grain finishes will push up the cost. It’s not unusual for suppliers to make an additional charge for fitting a unit in which one, or more, of the window sections opens and closes. If it’s not really necessary to have a certain section of the unit open and close, why pay extra? 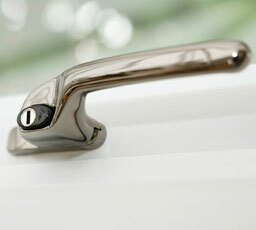 The extra cost is because you need more labour to construct the window, you also need handles, locks, hinges etc. 5: Look for a good deal and always negotiate. Looking for a good deal will take a little time, but can pay dividends. Initially you should start by comparing quotes from as many installers as you can – at least 3 to 5. Compare deals from big companies & local companies. Rinse & Repeat – Always ask for a better price or an improved deal. It may also be worthwhile waiting until the “low season”. January is usually busy for orders and spring / summer would see busy times for a lot of installers. Later in the year may be a good time to search out a good deal. But you may have to work around the Great British weather to get your new UPVC windows fitted in Autumn & Winter. We can help with the quote comparisons if you are thinking of buying UPVC windows – just send us a few simple details and we can arrange for free written quotes nationwide.